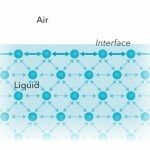 Surface tension is a measurement of the cohesive energy present at an interface. The molecules of a liquid attract each other. The interactions of a molecule in the bulk of a liquid are balanced by an equal attractive force in all directions. Molecules on the surface of a liquid experience an imbalance and cohere more strongly to those directly associated with them on the surface. This forms a surface ‘film’ that makes it more difficult to move an object through the surface than move it when it is completely immersed. The same situation also applies at the interface of the two liquids that do not mix together (for example oil and water). 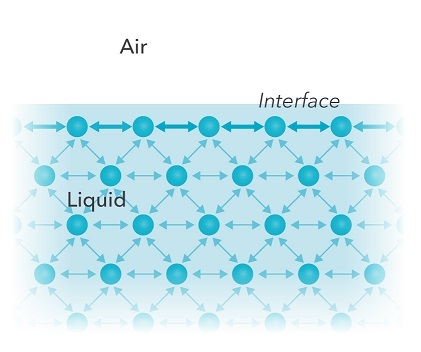 In this case the term interfacial tension is used. There are several different units for surface and interfacial tension and typically surface tension is measured in Dynes/cm (mN/m). Dyne Testing offers a range of Sigma Force Tensiometers and SITA Bubble Tensiometers that are widely used in education, research, process control and quality control for measuring Surface Tension. 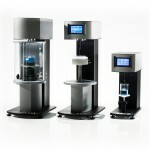 Force tensiometry is a powerful and accurate technique to measure static surface and interfacial tension of liquids. These direct measurements allow determination of a number of material and surface properties, such as dynamic contact angle, surface free energy, critical micelle concentration and wettability. This information can be used to determine adhesion, absorption, adsorption, cleanliness, surface heterogeneity, density, spreading, porosity, powder or sedimentation wettability, material solubility, biocompatibility and lubricity of solid surfaces, to name but a few. 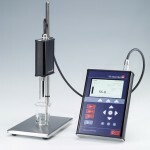 The bubble pressure tensiometer will measure the dynamic surface tension of liquids. The hand held instruments are characterised by high precision measurements, an intuitive touch screen and are widely used in R&D applications and for quality control purposes.